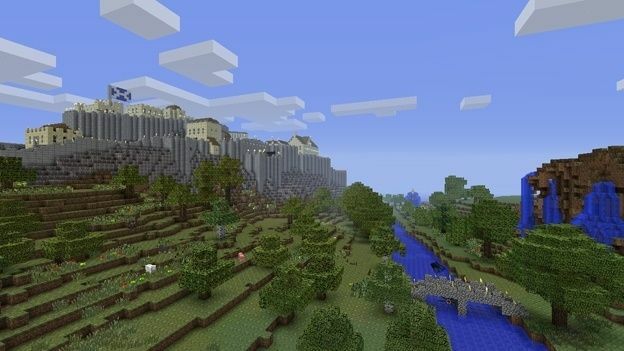 At yesterday's MineCon conference, Microsoft took the opportunity to announce that it is building a new version of Minecraft exclusively for Windows 10 PCs. The fresh take on the popular game will enter beta on July 29, the same day as the new OS launches. Minecraft: Windows 10 Edition is officially a thing, and marks the latest way you can play the addictive world-building game. You can already get it on Windows, Mac, Windows Phone, iOS, Android, Xbox 360, Xbox One, PS3, PS4 and PS Vita. While there's already a version for Windows, this new variant has additional optimizations that set it apart. This includes seamless swapping between touchscreen, controller or keyboard/mouse controls, Xbox Live and Minecraft Pocket Edition online play, and record/share support for built-in GameDVR functions. This is the latest movement from Microsoft on Minecraft, which has actively pushed the game since it purchased studio Mojang in 2015. Now Minecraft is available on Xbox One, Windows 10 and a version is currently in development for the HoloLens augmented reality headset. Best of all is that owners of the PC version of Minecraft will get Minecraft Windows 10 Edition Beta for free. For others, it will cost $10 for an unspecified time.